Lessard will replace Lance Mosley, who is repatriating to the U.S. after six years in the Asia Pacific region. In his new role, Lessard will be responsible for continuing to drive Ford’s momentum in the Philippines, which included the company’s all-time best quarterly sales performance reported earlier this month. “Bertrand has a wealth of experience with Ford in markets around the world and his leadership will help us continue to grow our business and our brand in the Philippines," said Kaufman. “Lance put tremendous attention to improving Ford's after sales support of our customers, and the benefits of these efforts will be seen for years to come,” added Kaufman. Prior to this, Lessard served as general sales director, Ford France, where he oversaw an initiative to improve relations with the nationwide dealer network though enhanced process efficiencies and communications. Before his posting in France, Lessard served as general manager, Quebec Region, at Ford Canada for four years, where he was responsible for operations in province, including overseeing a network of 80 Ford dealers. From 1999-2009, Lessard served in a number of leadership roles within the Ford Canada organization, including national director of after-sales service, sales and service director for Eastern Canada, as well as led a successful restructuring of the Ford and Mercury dealer networks. Lessard began his career as a service technician at a Ford dealership in his home province of Quebec, Canada in 1976, and eventually joined Ford at its Canadian headquarters in Oakville, Ontario, as warranty claims analyst in 1984. In 1985, he returned to the Quebec regional office and served in various roles in after-sales, sales and then as assistant regional sales director. 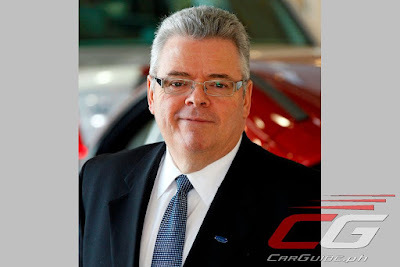 In 1994, Lessard was appointed director of advertising for the dealer network at Ford Canada’s Oakville headquarters and was responsible for all Ford corporate advertising in Canada. Lessard moved to Dubai in 1995 to take on the role of marketing director, Ford Middle East, and within a year was promoted to regional director and vice president of Ford’s Direct Markets in the Middle East, overseeing operations in nine countries. In 1997, Lessard served as sales and marketing director, Ford Vietnam, where he successfully established a formal sales and distribution network in the market. Lessard earned a diploma in business administration from HEC in Montréal, followed by an internship in International Marketing in Hong Kong before earning his MBA in International Marketing from HEC Montréal. say what??? after-sales support is just a suggestion at ford ph!!! these clowns should stop foolin' around!!! stop victimizing customers!!! service just like sales should be taken seriously!!! One angry ford owner already ranting geez and here i am waiting for the 2018 ecoboost mustang to come into our dealerships. ^Good luck mate, everyone knows VIPs and/or sons of god do not encounter such experience!